Innovotech’s MBEC Assay® allows rapid testing of antimicrobials and quorum sensing inhibitors for biofilm activity. To date, the MBEC™ Assay has been featured in 100s of peer-reviewed publications. 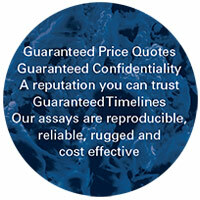 The MBEC Assay® now is approved by ASTM (E2799-17).